An activity to encourage respect in the classroom. 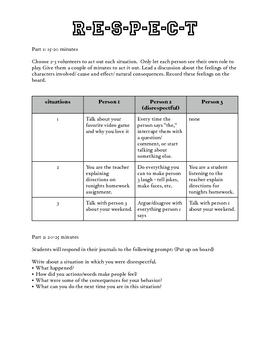 This lesson allows students to role-play and discuss feelings and appropriate behaviors. Students enjoy the opportunity to display the "wrong" behavior.